The Rib Room is situated in the heart of the upscale area of Knightsbridge in London, near to trendy Sloane Square and is joined to the 5 star hotel, The Carlton Tower. 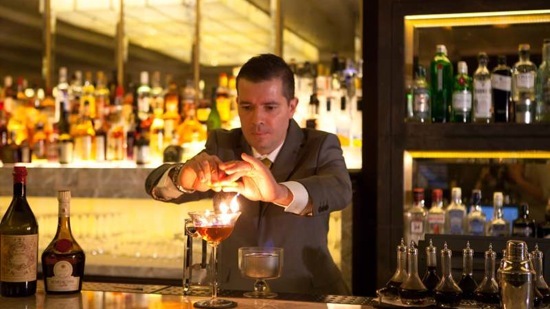 If you would like to spend a night of elegance in the heart of Knightsbridge enjoying sublime cocktails, excellent service and the best Oysters in town then the Rib Room will ensure you enjoy a night to remember. This classy venue is perfect for birthday celebrations, a romantic night out or a fun evening with friends. The Icon Balcony bar is situated in the heart of Leicester Square, just above the Empire Casino. Hence the name the bar has a spacious balcony, which provides a wonderful view of the square. As you step into the bar you are welcomed with antique wallpaper, striking Chandeliers, crimson furnishings and a big smile from the bar tender. The Icon Bar makes for an enjoyable and casual evening, the perfect complement to a social night out with friends! One of the best bars in Leicester Square for sure! Cartizze bar is nestled in one of my favourite new places, a hidden little path named Lancashire Court just off New Bond Street. This area leads to one of the cutest little Victorian paths in London. 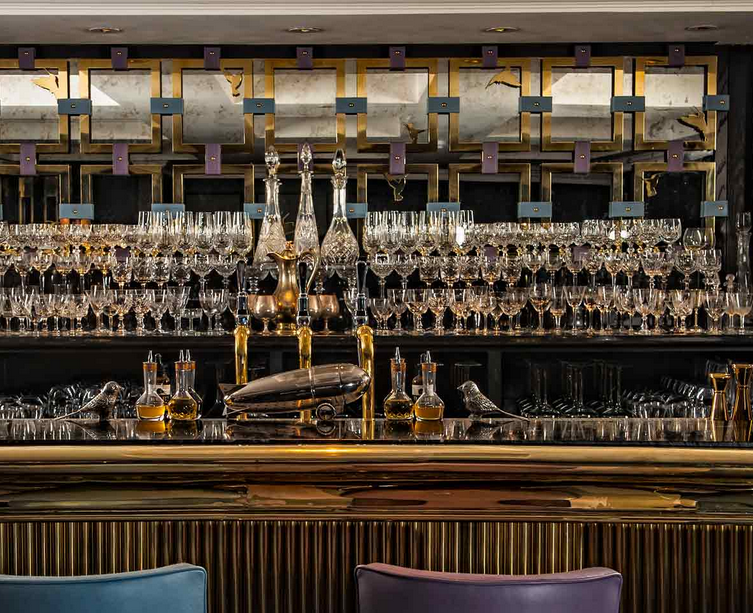 As soon as you step into the bar you are met with a decadent and beautiful wall of crystal glasses, paired with an array of original drink shakers and stunning duck shaped water jugs. There is so much to see in this stunning little bar, not just the beautiful glasses, but the delightful seating area and 1930’s feel gave the place a welcome feel. If you are in the mood for amazing drinks, perfect service and stunning decor, then Cartizze should be on your must visit list! Everything in this beautiful bar is well thought out, from the outstanding presentation, to the delicious food and cocktails. It did not take long to realise that Cartizze was more than a hidden gem and after only being there an hour, I could not wait to come back.